This was what prehistoric Krabi looked like- a typical tropical freshwater swamp dominated by Nipah palms, Nypa fruticans. 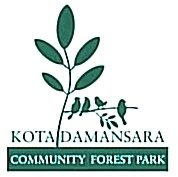 Photographed in Kuala Selangor, Malaysia. The signboard welcoming us at the entrance. 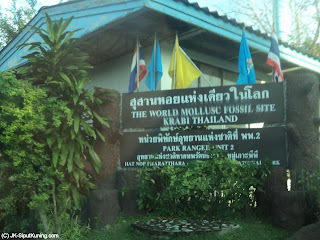 "THE WORLD MOLLUSC FOSSIL SITE-KRABI-THAILAND" displays the signboard welcoming us. 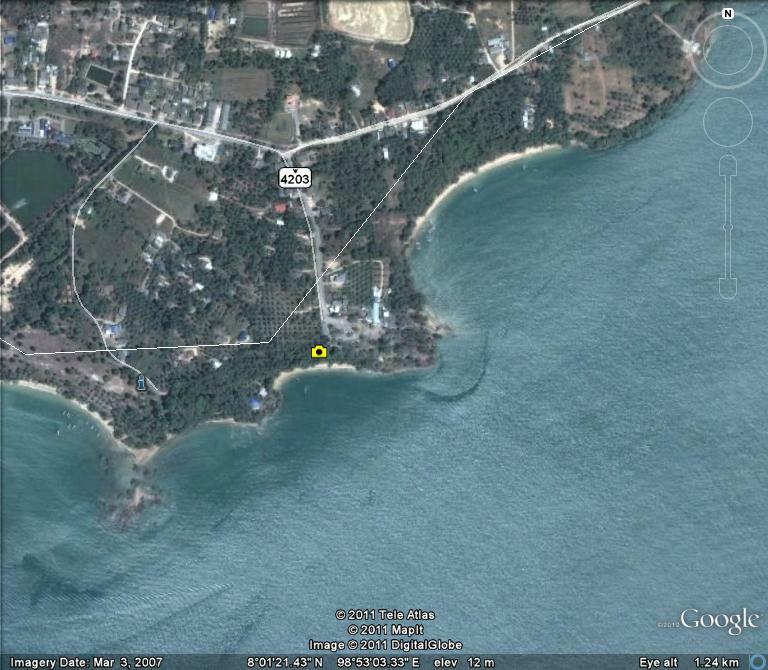 The time is 5pm and the sun is dipping silently into the Andaman Sea to the west. The rays, although still casting its golden shine on Krabi's coast, is no way near its fiery midday equivalent. We held our breath. Cramming in a van for 3 excruciating hours from Phuket to Krabi with a driver that drives more like a jet pilot have us fatigued. We are only too eager to burst out of the van and indulge in something more productive, fulfilling. The van finally pulled over a car park lined with stores selling typical seashell souvenirs. There's no doubt what this place is famous for! 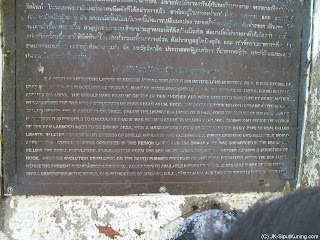 The information plaque for Susan Hoi. Susan Hoi Jedsibhalanpi or more accurately known as Susan Hoi literally means "seventy-five million years old shell cemetery". You might be wondering how did they found out the age of the shells but I'll come back to that later. 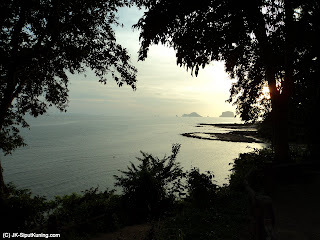 Located 7km south of Krabi town at the jutting headlands of Ban Laem Pho coast, Susaan Hoi is a collection of 3 geological formations containing fossilised freshwater shells numbering in the millions. Although inconspicuous and insignificant from afar, the rocky capes are wonders in themselves. It is thought that this geological curiosity is among the only sites around the world, the other being in Japan and the US. 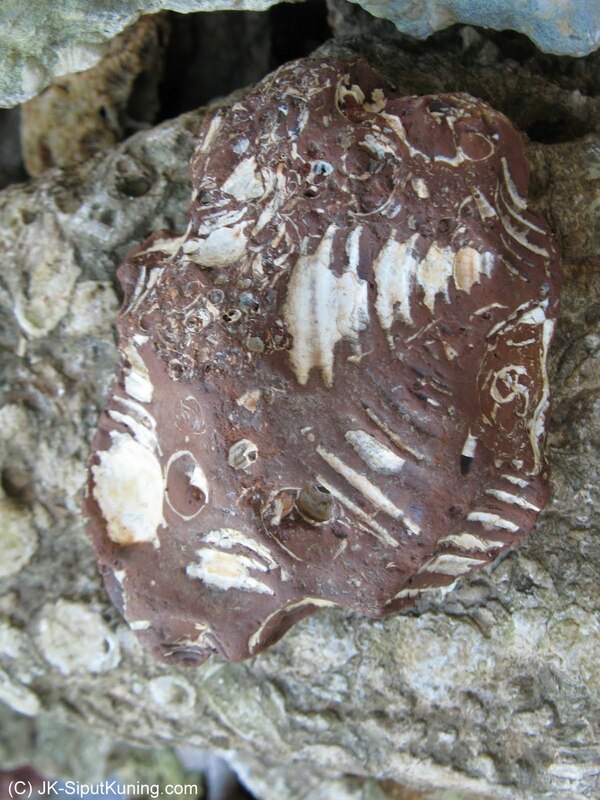 This statement is doubtful since there are many fossilised shell beds (shell assemblages) including a recent discovery in Mae Moh coal deposits of northern Thailand, also of freshwater origins. 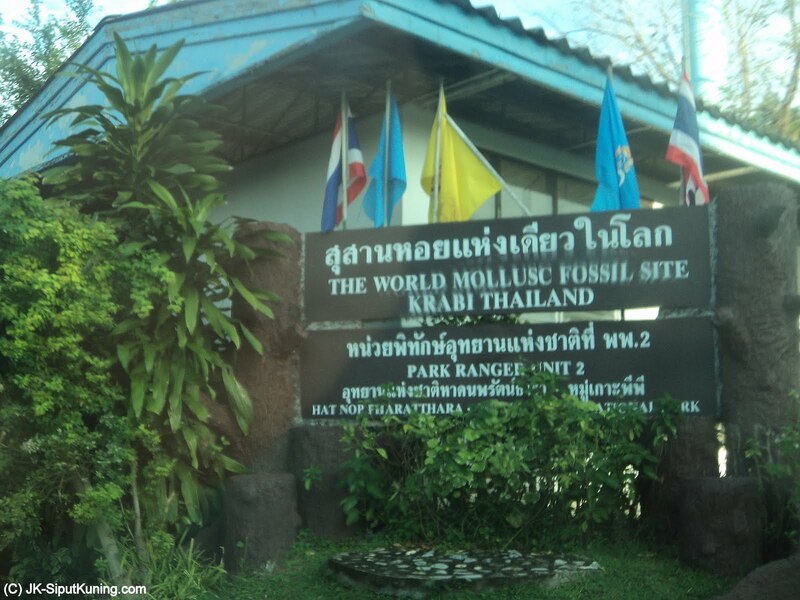 Closer to home, Krabi itself boasts another site in a coal mine with the same layer of fossil freshwater shells believed to be from the same formation as Susan Hoi's. Tens of thousands of fossil shells cover the entire rock layer. A detached slab showing the thick deposit of fossil shells. This brings us to the questions: What exactly is the Susan Hoi formation? and how old is it? Let's answer the latter, for a start. Susan Hoi is, admittedly, not seventy-five million years old. The naming error stems from an old assumption that Susan Hoi comes from the Tertiary period, where the 75 million years ago period is located. It is younger, though no geologists have come to terms with its exact date yet. Primarily, there are two camps when it comes to dating these fossils. 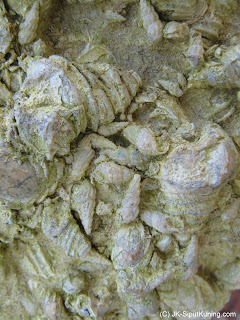 On one side, scientists who analysed ancient pollen grains deposited along with the fossil shells concluded that Susan Hoi could only be between early and mid-Miocene (that is, between 23.03 and 5.33 million years ago). On the other hand, paleontologists discovered fossilsed fishes and turtles in the deposits dating back to the Eocene period (56 to 34 million years ago). With such conflicting claims, no dating consensus can be made save the error of the 75 million years old phrase. However, what is more definite can be found in the study of the evolution of the environment leading to Susan Hoi's formation. 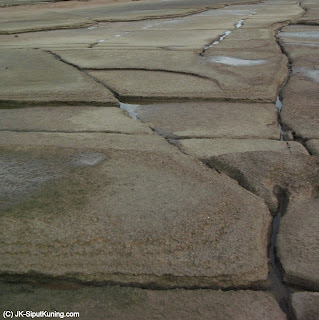 Slabs of hard fossil rich rocks break and collapse onto the beach as waves washed away softer deposits around it. 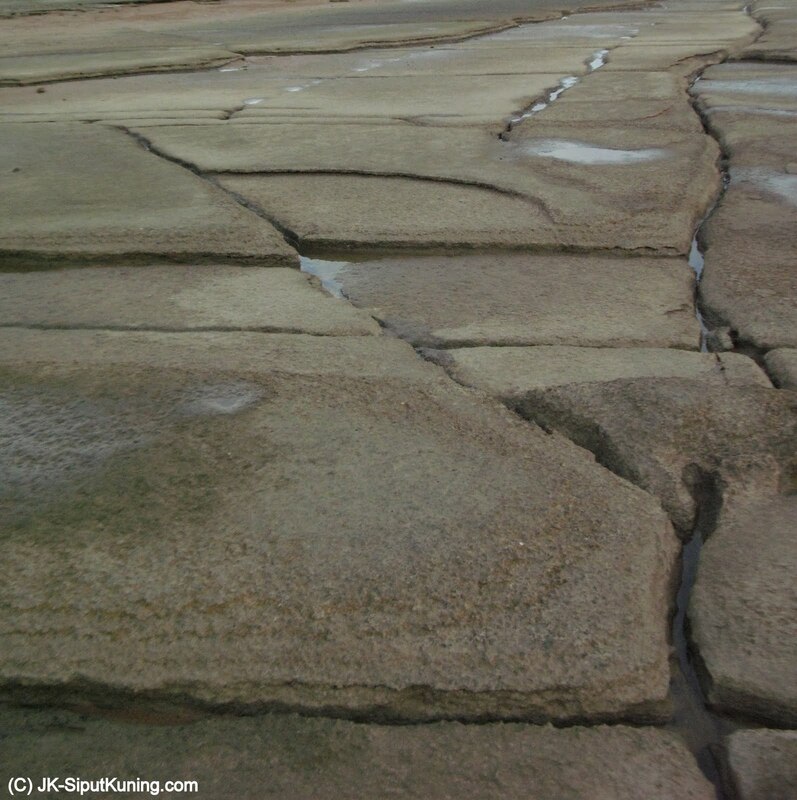 Cracks form across the fossil shell bed as a result of endless weathering from wave action in this dynamic coast. 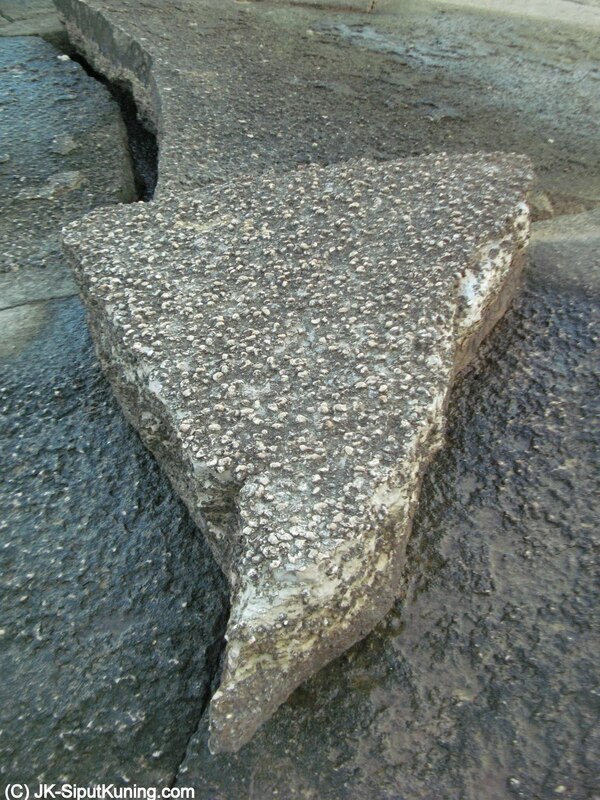 Waves have been pounding hard on the Susan Hoi's rocks for millenia. 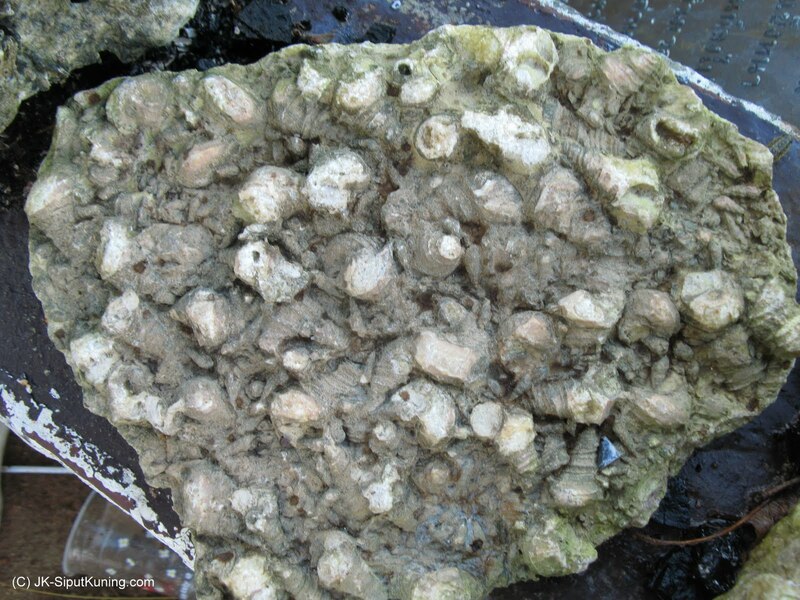 In the process, softer deposits and the topsoil layers have gave way and washed down into the sea, leaving the more sturdy layer of fossil shells (a.k.a. shell matrix) jutting out of the formation. 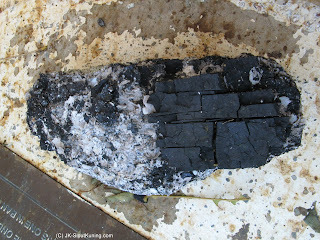 Eventually, prolonged weathering cracked the exposed matrix and they collapsed to a pile of giant slabs. In such an event, sections of the entire formation can be seen from a cliff face, especially the more exposed parts of the capes. This gives geologists opportunities to study each layer of rock and interpret them. 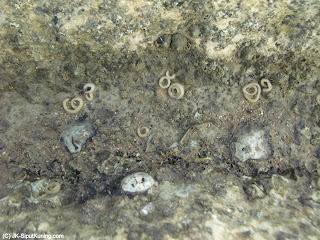 Lignite (coal) mixed with clays and fragments of Viviparid snail fossils found beneath the rock layer. 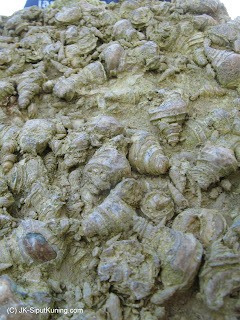 Beneath the shell layer, geologists found a dark band of lignite (better known as coal) interspersed with shale and clay and even some Viviparid snails-indicating an ancient freshwater swamp. 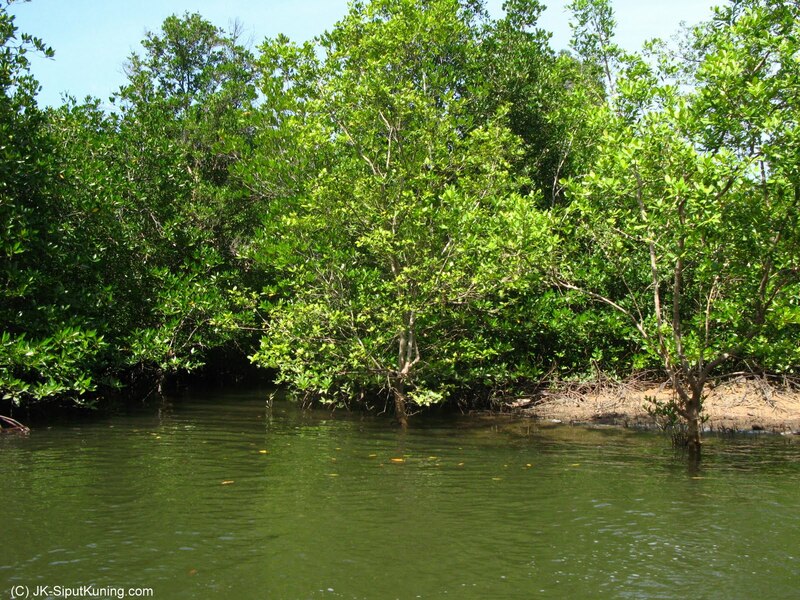 Some plants living among its watery habitat, often shed its leaves, while other that died collapse into the water. These organic material decompose and sink into the depths of the swamp, eventually compressed by the pressure of water and soil deposits above. This compressed layer then becomes lignite. Clay and shale, meanwhile, had their origins as silt and sand washed down from the interior and settled between the dead plants in significant quantities. 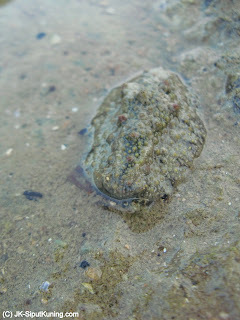 To produce such thick deposits of silt, one may imagine huge amount of rain battering down on mountains and river banks. 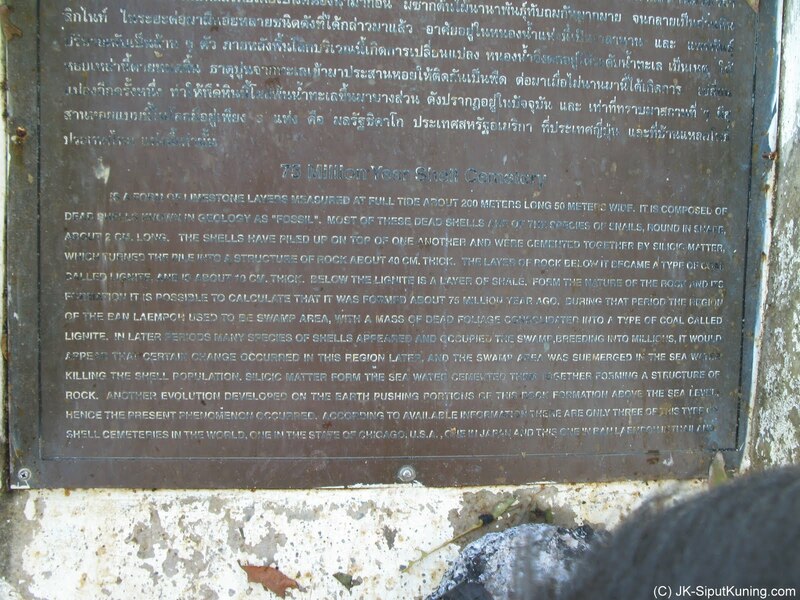 In other words, southern Thailand might have been tropical even before Susan Hoi's formation! (Not that this is strange, it is just that climate and environment of the past in many places differ significantly from today's.) Indeed, fossil pollen analysis indicate tropical plants thrive during that period. 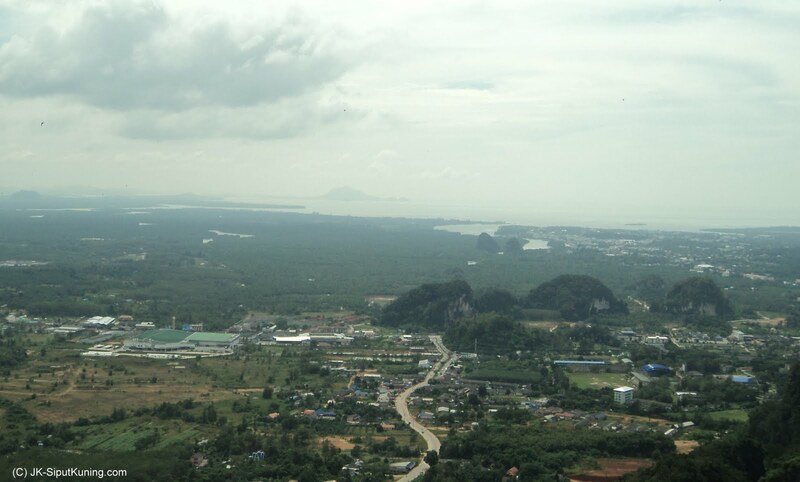 As sea levels began to rise, saltwater incursion occurs across the Krabi floodplain, aiding the spread of brackish water habitats, followed by the more salty mangrove wetlands. 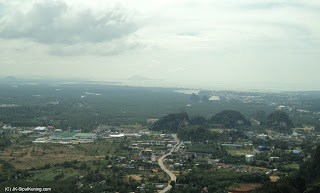 Pictured here is the floodplain as seen from the limestone peak at Wat Tham Suea. One of the mangrove plant species is the Rhizophora sp., seen here in present day Krabi. 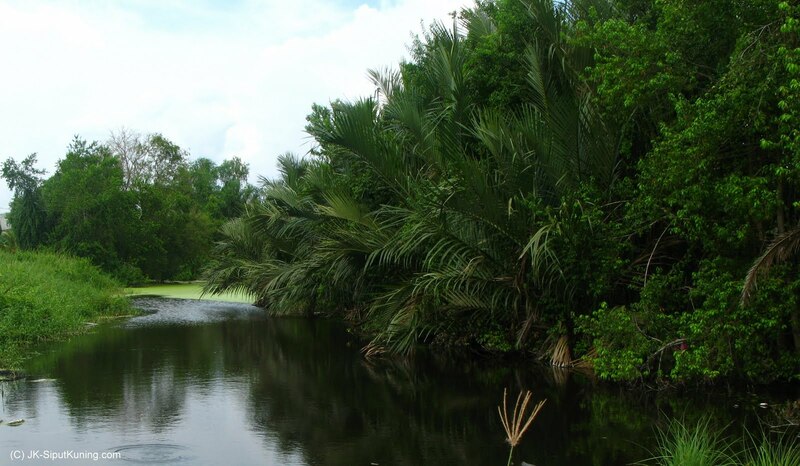 This freshwater swamp, however, disappear completely after several million years. It is then that the shell bed enters the scene. Apparently, salt water had begun to invade the freshwater swamps, leading to the formation of brackish water habitat instead. Brackish water simply means a mixture of salt and freshwater. This means death to the previous occupants including the freshwater swamp plants, hence the absence of lignite in the shell beds. 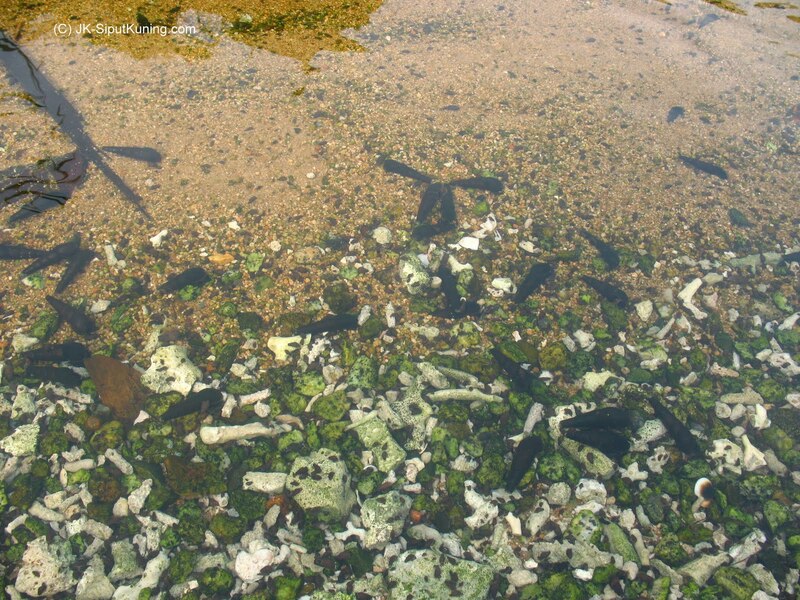 The disappearance of the freshwater plants allowed the growth of certain algae, which in turn allowed molluscs to thrive. 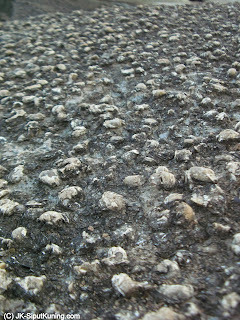 Typical swamp molluscs such as Viviparid snails, Melanoides snails and Mya arenaria clams began to appear in profusion. The algae increase heighten activities of grazing and filtering decomposed materials. 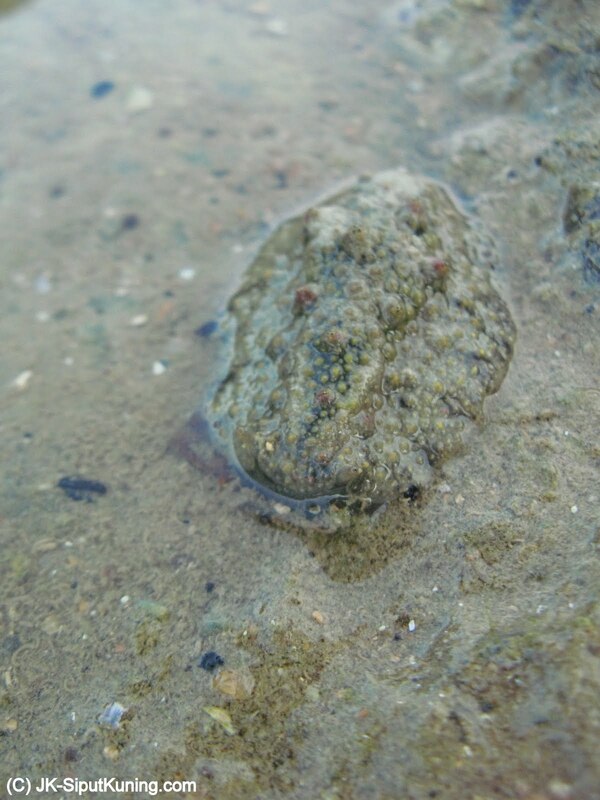 Sand and silt continued to deposit along with the mollusc shells. This goes on for several million years. 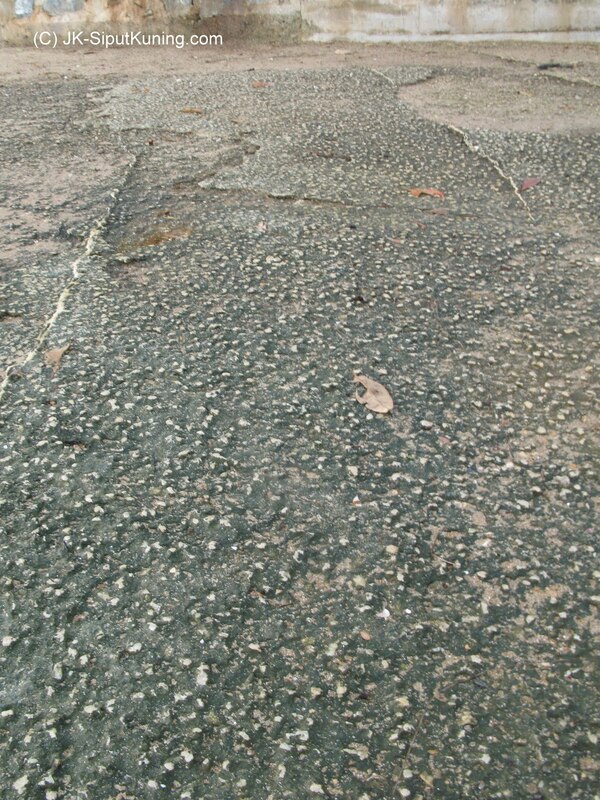 by then, the shell and silt became cemented and formed a 1m thick deposit. Typical brackish water habitat supports a large specialised molluscan community as seen in this example in Pulau Tioman, Malaysia. 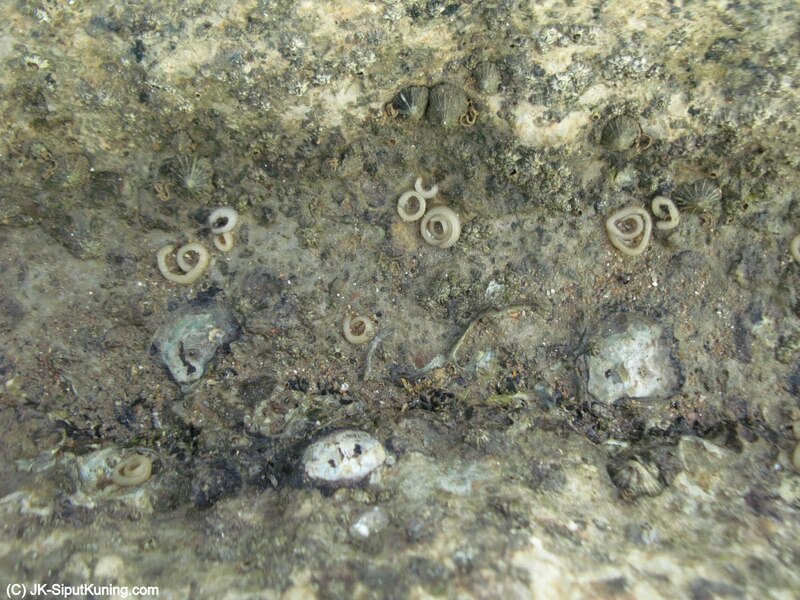 The fossilsed Viviparid snails (family Viviparidae), Taia sp.(? ), bounded by clay. Another species present is the smaller, tall spired Melanoides sp. 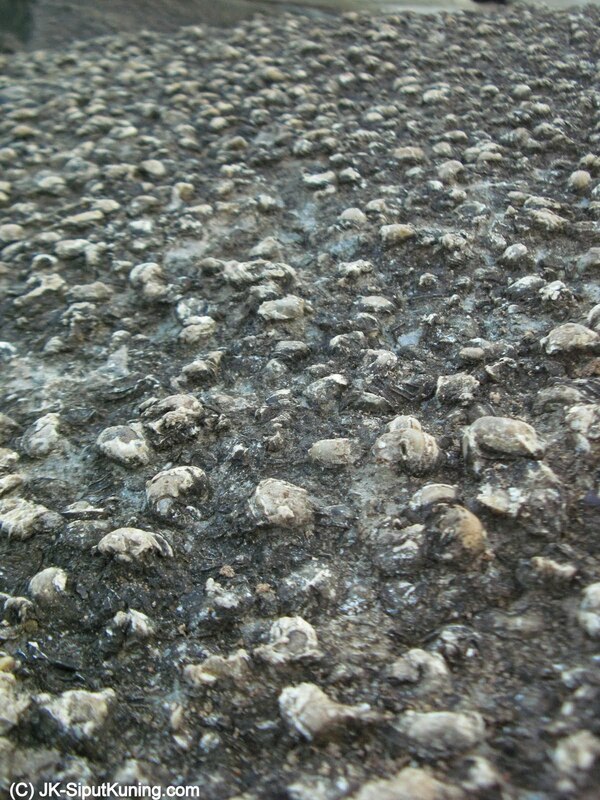 snails (family Thiaridae). Peculiarly, this shell deposit stopped short of continual growth and was obliterated by a thick layer of sand, clay, gravel and red laterite! What happened? What occured to the swamp...and the snails? 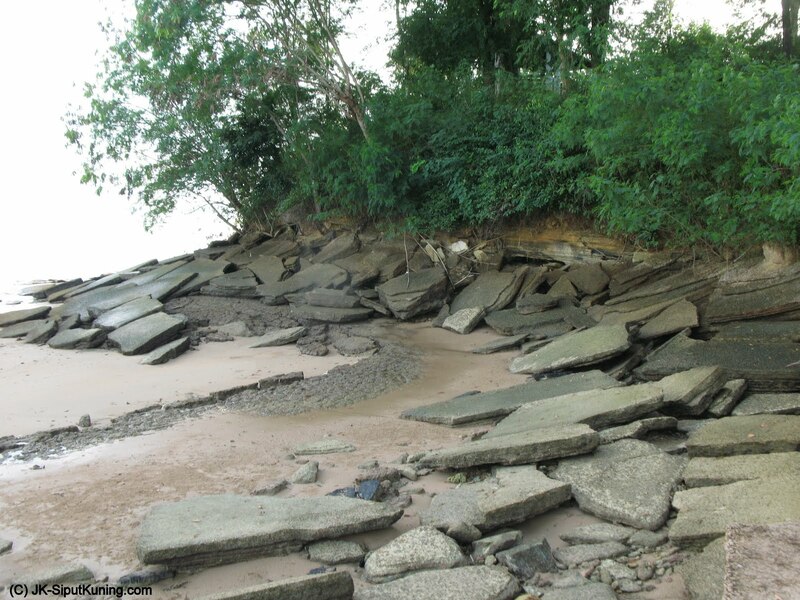 Some people speculate that this may be a result of a severe storm which carried tonnes of earth from upstream and dumped them onto the riverine community. Others said it could be a sudden geological uplift of the floodplain, draining out all the swamp water. Or is it? Either way, the entire swamp ceased to exist. 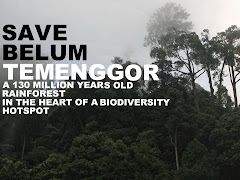 This was replaced by the dryland rainforest which grew on the firm earth burying the shell deposits. 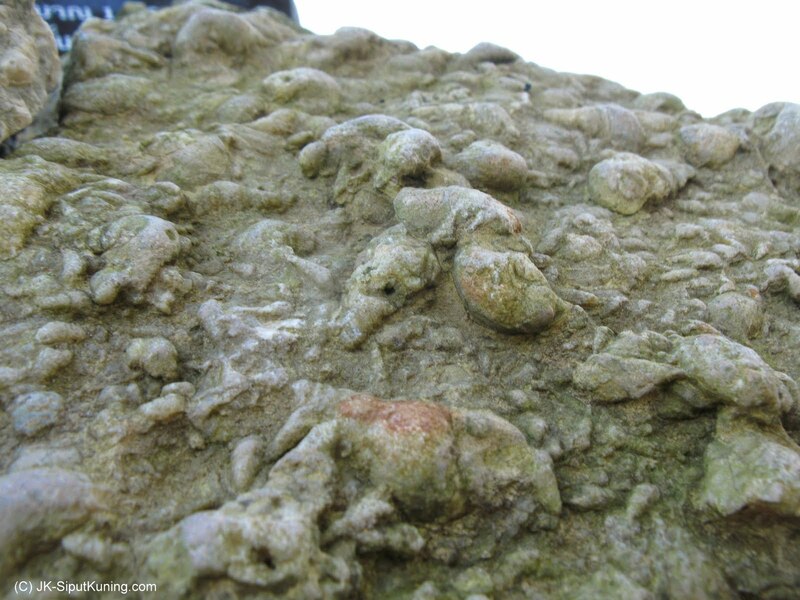 As weathering continues, exposed fossil shells will erode. 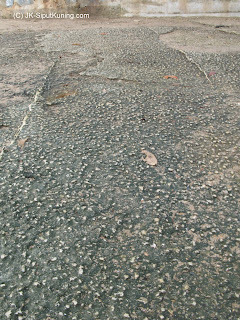 Here the severity of erosion is shown by the reduced striation features found on the Viviparids as compared to the previous two pictures. As erosion continues, even the shape of the shells began to look indiscernible. 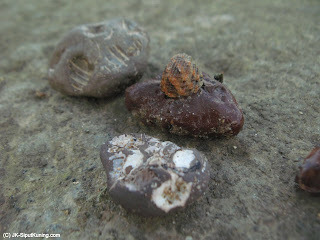 Fossil casts of the freshwater Viviparids embedded in red clay exposed as erosion rounded the fossil -rich pebbles. As time passes, the coast gradually crept back towards the shell beds. 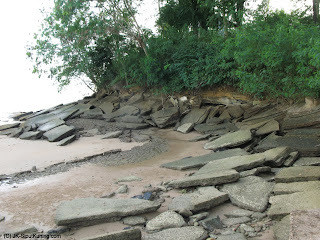 Wave action have been breaking up all the soil and rocks between the sea and shell deposits. 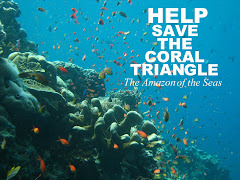 finally, the sea is now lapping once again at the doorstep of the ancient swamp fossils. 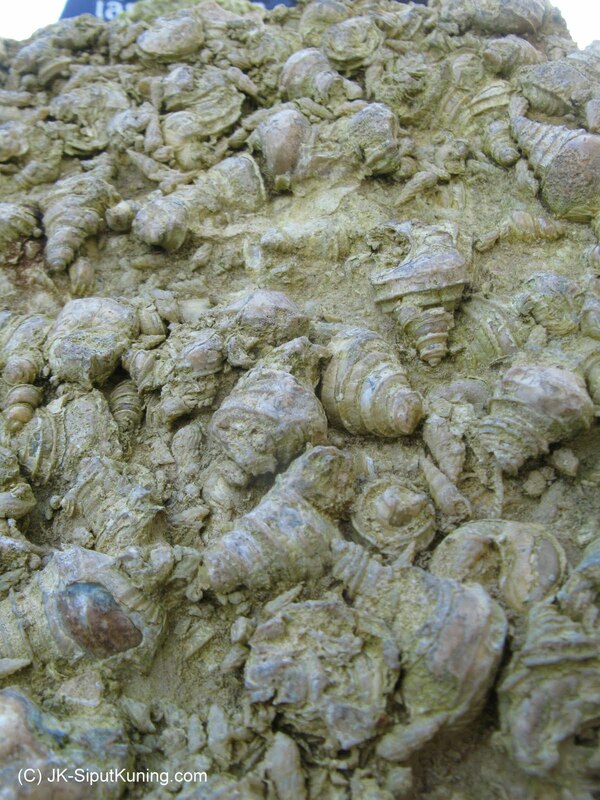 Rocks less exposed to wave action produce more pronounced details of the ten of thousands of ancient freshwater shells. As I stand on the cape, gazing out to the Andaman, I contemplated Susan Hoi's eventual fate. The final rays of sunshine touch gently on broken pieces of fossil rocks illuminated by saltwater spray from relentless pounding of waves down at the waterline. It was such a brief exposure, in geological time, that has afforded us an opportunity to reveal the amazing history of this natural wonder. I knew that, very soon, the shell cemetery will be no more. 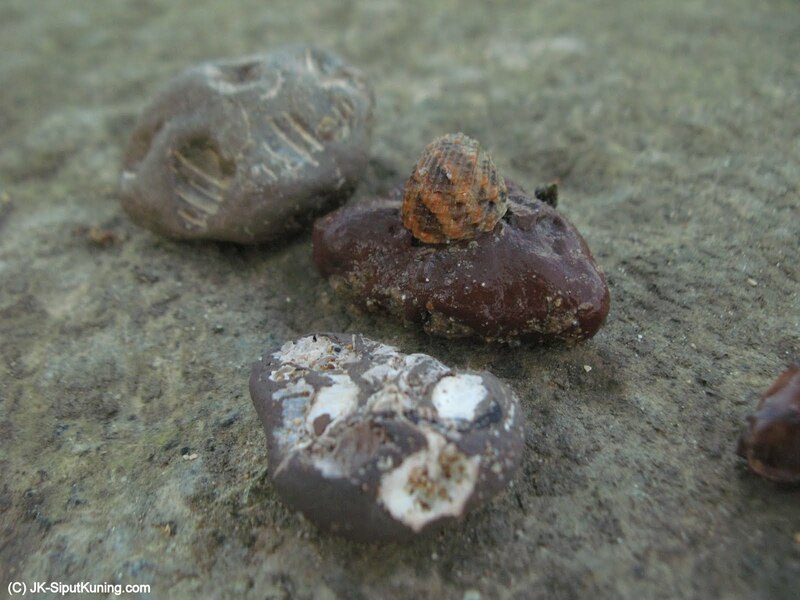 Mere pebbles rolling beneath the waves, ever breaking into smaller pieces, ending back into the sea, just like a few million years ago. Kusakabe, M 2003, 'Fluctutaion of Depositional Environment in the Bang Mark Coal deposit, Krabi Mine, Southern Thailand: Stable Isotope Implication', ScienceAsia, vol. 29, pp. 307-317. Wow! Fascinating. Another reason to visit Krabi. purrrr....meow! You have quite a unique post! How have you been? Hope all is well with you. Neat change on your blog design. Waiting for your next post!